Don't worry, her belly button ring made it out alive. If you're currently addicted to watching people rip off those charcoal blackhead masks, this video will fulfill your cravings for a week. 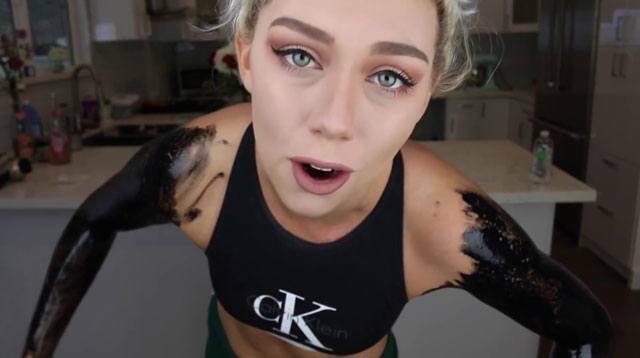 YouTuber Nicole Skyes took the full body challenge and applied the tar-like substance from head to toe—except her face, ironically. This video is basically just 11 minutes of Nicole screaming in pain as she tears off her top layer of skin, leaving behind what looks like a throbbing red burn. And when she gets to her stomach, you'll cry for her. Enjoy!